"Om Hreem Namah. My mind is calm and clear." 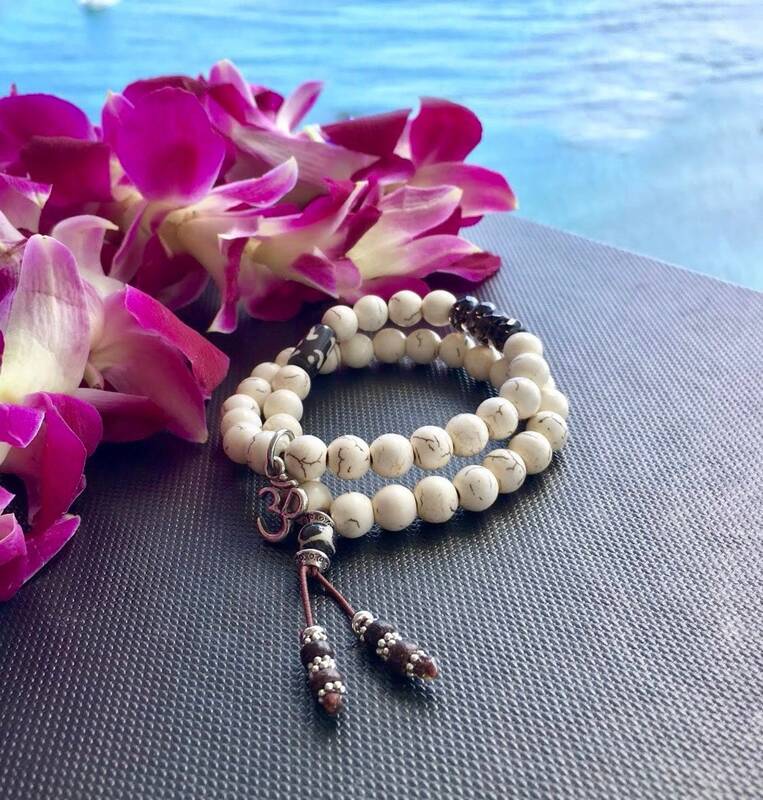 The beach-inspired Bhakti Double Mala Bracelet features sandy white Howlite gemstones along with shimmering faceted AAA quality Smoky Quartz gems and an Om etched bone bead to diffuse anger, relieve anxiety and calm a busy mind. This bracelet gently wraps around the wrist twice, offering double the healing vibrations. Bhakti भक्ति is a Sanskrit word for alignment with Source and devotional love for God. Smoky Quartz instills physical and psychic protection. It removes negative energy of all kinds and transforms it into positive energy. As a root chakra gemstone, Smoky Quartz enhances survival instincts, reduces depression, and can help one reach personal and business goals. It is also used in assisting in making wishes come true by grounding their essence in reality. Thus, it is a stone that brings abundance, prosperity and good luck. Brenda is a gift ! I’m so blessed to have found her. 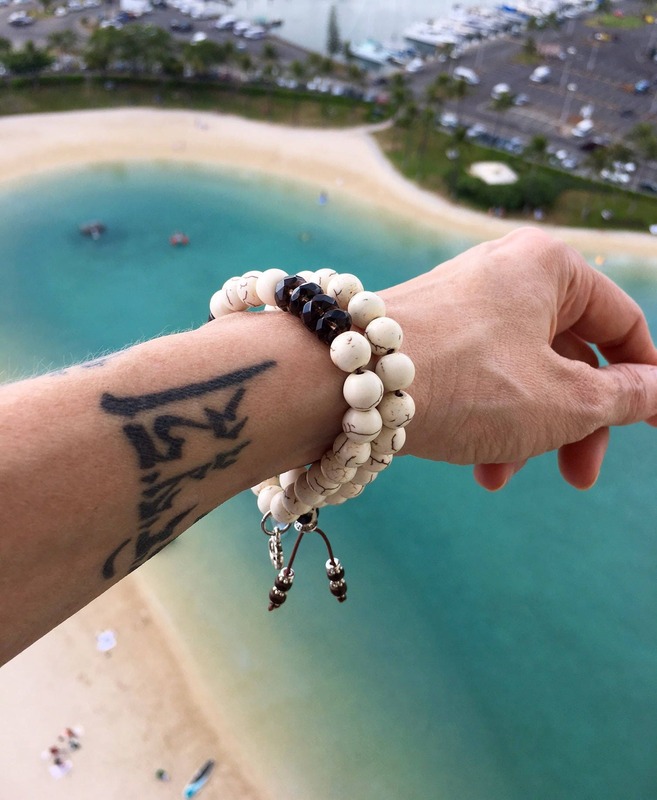 The bracelets she creates have special meaning . I have corresponded with her regarding my request for a dear friend and sister who I wanted to bless , with her beautiful healing jewelry . 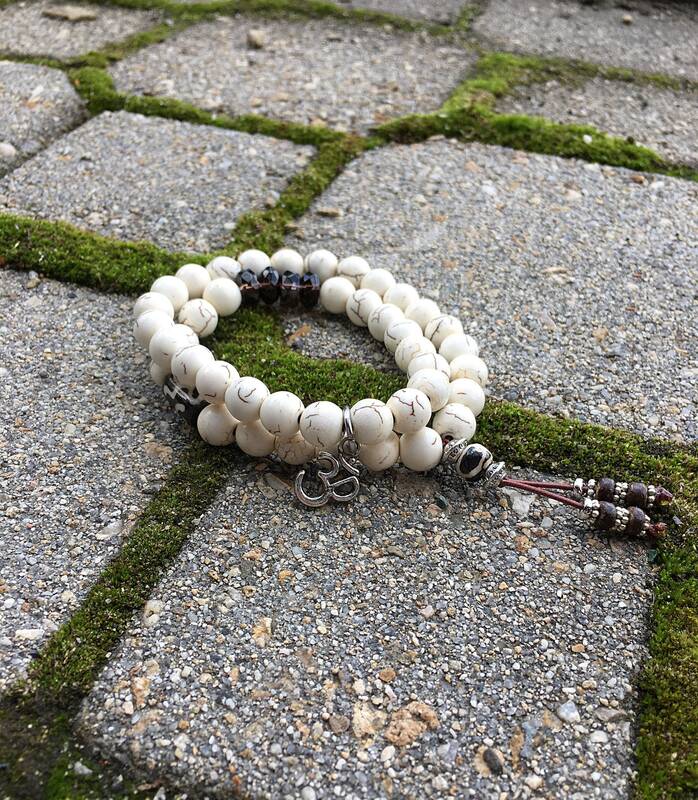 My dear friend is wearing her bracelet around her wrist , and has shared that she feels the healing energy of wearing it . Thank you Brenda for sharing your spirit and wisdom with me . I’m grateful ! I love my bracelet. Brenda is very kind and communicative. I have small wrist and it fit me well and it is beautiful made. I can feel its good energy. It will be wonderful gifts for family and friends.